The plan would shrink the number of income tax brackets down from seven to three — with rates of 12, 25 and 35 percent. Also included are a repeal of the death tax, a 25 percent cap on the business tax for small and family-owned businesses, and a significant reduction in the corporate tax rate to 20 percent. Under our framework, we will dramatically cut the business tax rate so that American companies and American workers can beat our foreign competitors and start winning again. We will reduce the corporate tax rate to no higher than 20 percent. That’s way down from 35 and 39 which is substantially below the average of other industrialized nations. This is a revolutionary change, and the biggest winners will be the everyday American workers as jobs start pouring into our country, as companies start competing for American labor, and as wages start going up at levels that you haven’t seen in many years. 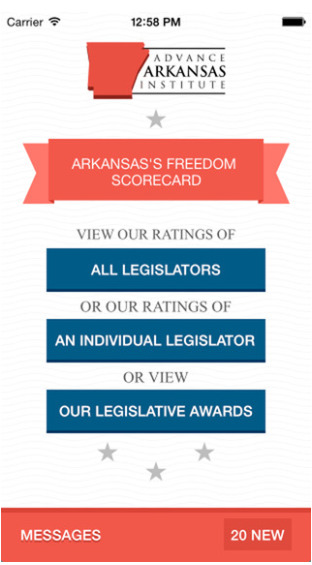 We need a tax code that supports American families while promoting financial growth and giving our businesses the certainty needed to grow, expand, and create jobs for Arkansans and Americans. The tax code and its regulations have grown to over 70,000 pages. There is nothing simple or fair about that. It’s been over 30 years since we’ve made any significant changes to the tax code, and it’s time to deliver a simpler, flatter, and fairer tax system. Consolidating seven tax brackets of taxable income into three and repealing the death tax are two components of many things included in our tax reform package. In total, these recommendations will bring American businesses and jobs back home and let families keep more their hard-earned income. I have always advocated for lower taxes, and I look forward to working with my colleagues to give hardworking Americans hope and relief with a tax code that helps them and their families. Our current tax code is complicated, confusing, and full of special-interest loopholes. It has been 31 years since we have had major reform, and I am optimistic about the unified framework laid out today. Americans deserve to keep more of their hard-earned paychecks and spend less time filing taxes. Tax relief for small businesses is necessary in order for them to grow. The time for tax reform is now, and I am hopeful that this plan will lift the financial burden off of working families while putting America first. 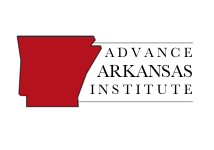 The 1st District of Arkansas will be looking for a fiscally responsible tax reform plan that significantly lowers taxes for working middle income Americans and their families. I support the President’s goal of making our tax code more competitive to increase economic growth and drive up wages for American workers. Ultimately, our current tax code benefits some at the expense of the many, and Americans should be able to keep more of their paychecks to spend, save, or invest as they so choose. Today, President Donald Trump and the U.S. House of Representatives unveiled details on one of the key components of our ‘Better Way’ agenda a simplified tax code. We have listened to the American people. You told us the tax code is too complex and burdensome. We agree. 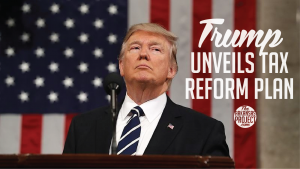 That is why President Trump and House Ways and Means Chairman Kevin Brady unveiled an overhaul of our tax code that promotes job growth, doubles the standard deduction, brings an end to the death tax, eliminates corporate tax loopholes, reduces the number of tax brackets lowering rates for everyone and makes our system more fair for hardworking taxpayers. It is now our job to take these reforms from proposals to law in the coming months, a challenge I believe we can achieve. I thank the president for his leadership on this issue and look forward to working with my House colleagues to pass meaningful tax relief. President Trump is correct: this is a once-in-a-lifetime opportunity to get America’s tax climate back to being competitive with the rest of the world. It’s been three decades since similar ambitious reforms of the tax code were passed into law. However, the United States’s tax system has fallen behind the rest of the world since those reforms were passed. Hopefully, Congress will pass tax reform that contains the principles Trump outlined yesterday and get the American economy back to being competitive with the rest of the world.